I’m back again sharing a project for Unity Stamp Company. Today’s card is based on the Assemble This! Sketch No. 5. Where we have a spray of images going from the top left and down to the bottom right. It can be anything you’d like it to be, but I decided to go with a floral design. These flowers are classic… timeless… necessary! So absolutely stunning and beautiful. I could use them over and over again. Um, maybe I do. Haha. I really love how pretty they are and you can adjust the colors to any project. Today, I’m using that amazing barn wall background stamp for a shabby chic look. Think Shiplap ah la Joanna Graines and then popping up some gorgeous yellow flowers. I’m a watercoloring fool with a bit of string and a popped up sentment and I’m callin’ this card done. Stamp barn wall background using a dark brown ink onto kraft cardstock. 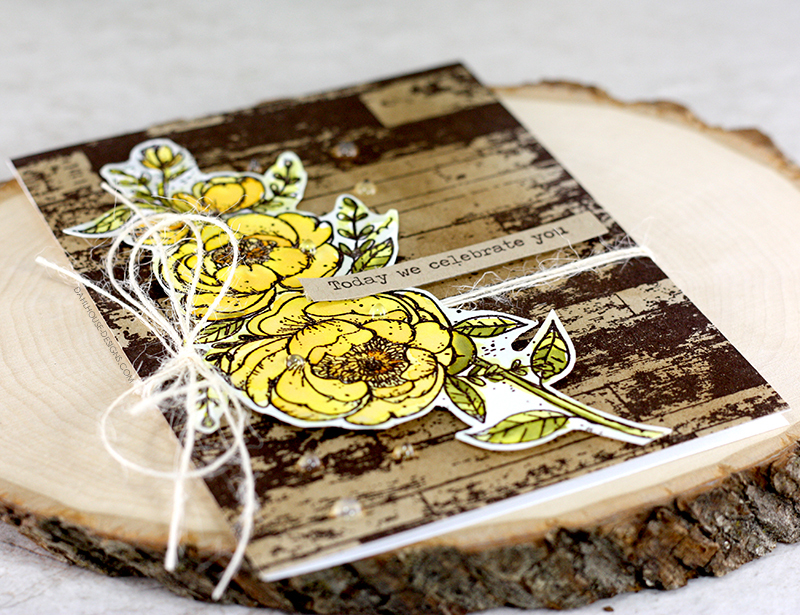 Blend on some Distress ink to give it a variation of color like wood. Adhere to card front. Tie string around card front. 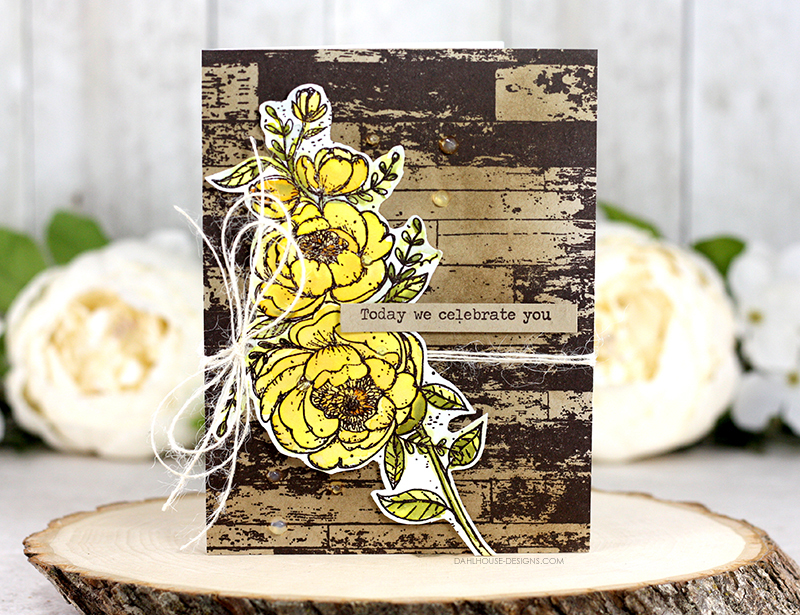 Stamp flowers onto Canson XL watercolor paper with dark brown ink and heat emboss with clear embossing powder. Watercolor with Distress Inks and let dry completely. Fussy cut flowers out and pop up on card front the foam adhesive. 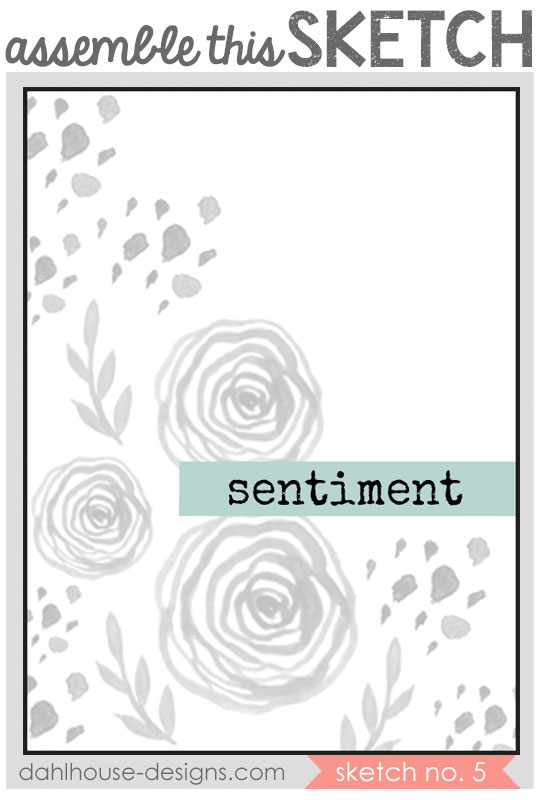 Stamp sentiment on strip of kraft paper and pop on card front. Add Morning Dew Nuvo Drops to card. Unity Stamp Company Wanna Sketch? This is all kinds of gorgeous! I love that shabby background (that sounds so wrong, but I know you know what I mean 😉 ) with the beautiful spray of flowers. Lisa…you are so talented! Love this creation so much. You inspire me and so many others. I love that your style constantly evolves and you do it all so very well. Cheers my sweet friend. Yet another beautiful design Lisa, that wood background is awesome!